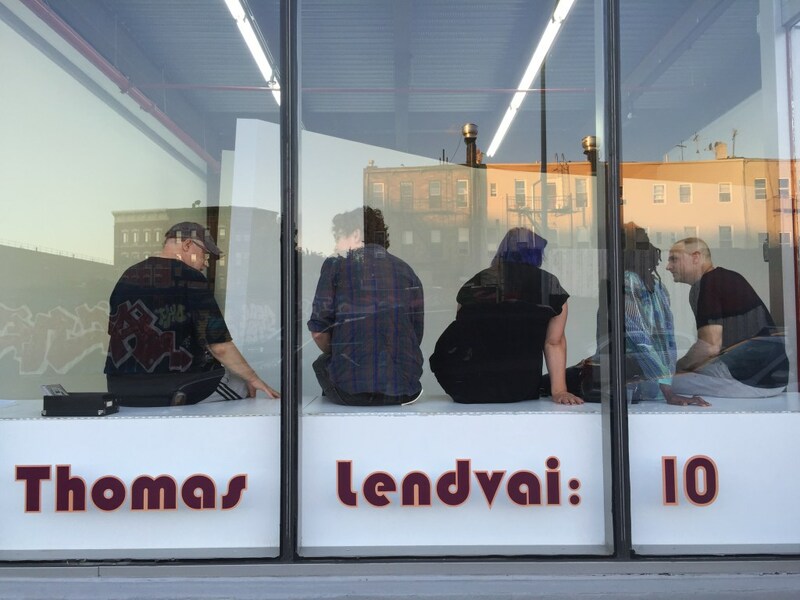 For Ellen Hackl Fagan, ODETTA’s gallerist and curator, titling the current sculpture show Thomas Lendvai: 10 was a no-brainer. When artist Thomas Lendvai came up with the title “Ten,” which marks the first time in ten years that the sculptor has been given a chance to show his large-scale sculptures in a New York gallery, Hackl Fagan embraced it willingly. Serendipitously, it also marks the tenth show at ODETTA. 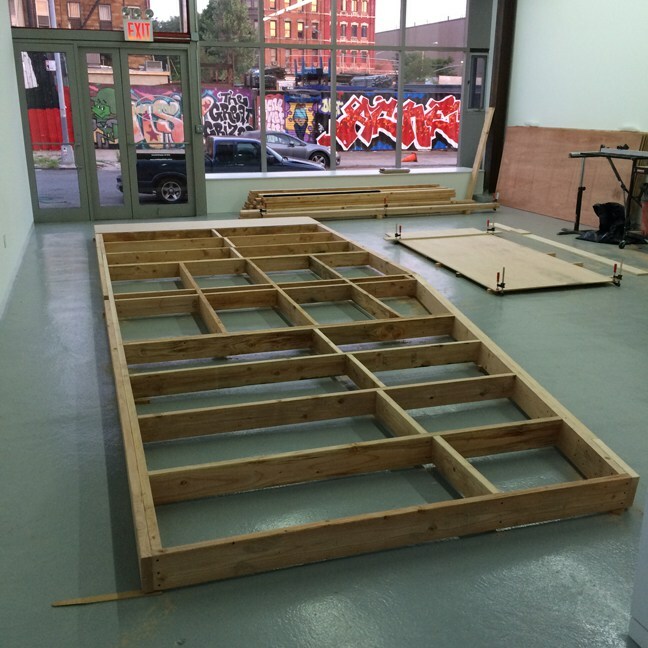 Hackl Fagan recalls how Lendvai, an artist who also works as a carpenter in a shop near the gallery, has been coming to ODETTA since it opened during Bushwick Open Studios in 2014. When she realized he worked with wood and had access to tools, she asked him to help with small projects, and ultimately last summer, she asked the artist for a studio visit. Seeing his work, Hackl Fagen made a mental note that Lendvai knew how to build large-scale sculpture. She notes, “I began to think that summer would be an ideal time to take bigger risks at the gallery and asked Tom to create a proposal.” Two months later, Lendvai showed her a scale model of the gallery with a sculpture placed inside the space. After discussing different editing ideas, Lendvai came back to Hackl Fagan with a final 3D sketch of his proposal for the sculpture. “Close to installation time, I began panicking because I’d never worked with an artist from models, so I brought him back to pace the floors with me and demonstrate roughly how large it would be. That gave me renewed confidence that we wouldn’t have a redux of the Stonehenge debacle in the movie Spinal Tap!,” Hackl Fagan recalls with a wide smile. Having worked with the artist numerous times by then, Hackl Fagan felt she should trust him to use the space as his “residency” at ODETTA. With some help and fully at his own expense, Lendvai built the sculpture on site in two weeks. The resulting form is striking and ambitious. 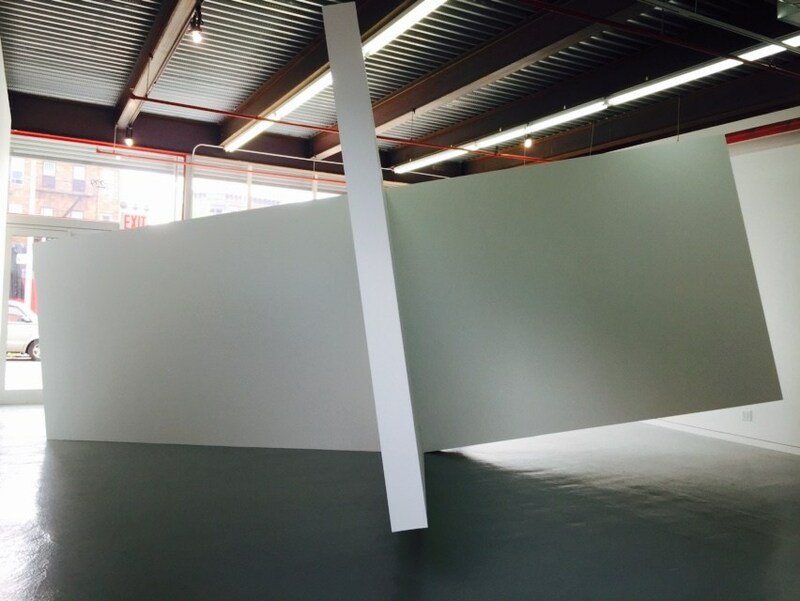 Lendvai utilizes colossal and boldly tilted geometric forms to create a physically immersive site-responsive installation made of the same materials as compose the gallery walls: sheetrock and wooden beams. 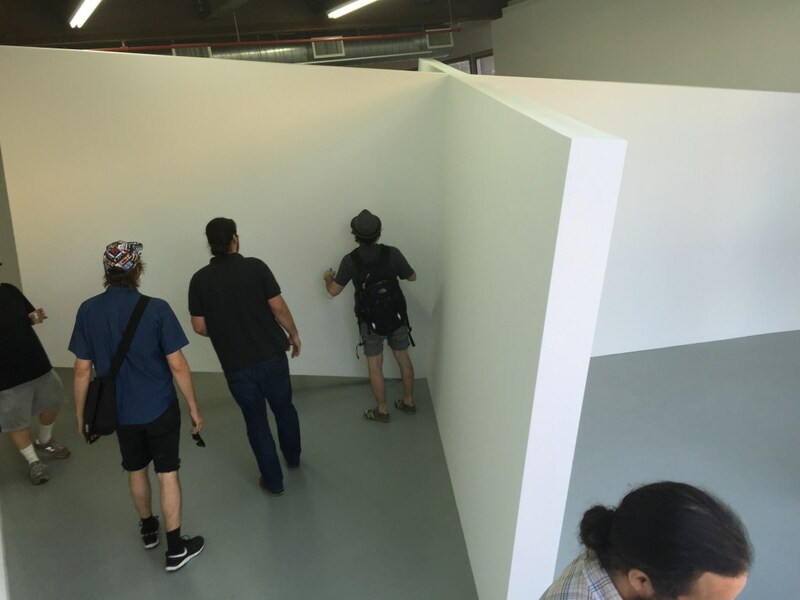 A huge structure in the form of a plus sign or the Roman numeral X, sections the gallery space into four quadrants, but upon entering the gallery, a viewer can perceive it only in fragments by walking and viewing it from different vantage points. In the process of navigating their way around the sculpture, visitors are constantly aware of their own body in relation to the structure and in relation to the gallery space at large. This experiential interaction with the work prompts meditation on the relationship between self, art, and architecture. 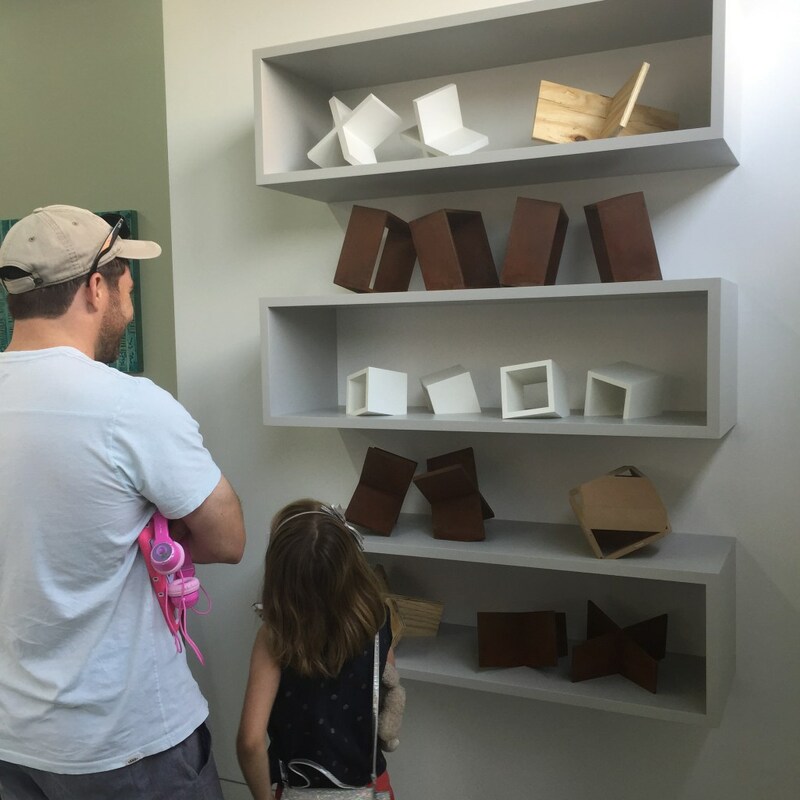 Lendvai says that he wants the sculpture to be architectural but not architecture, a sculpture that references its surroundings: “Instead of a volume of mass, it’s more like a volume of space; it’s the negative space made visible,” he explains. Influenced by the reductive aesthetics of Minimalism, X Never Marks the Spot plays with the constructs of space, time, and gravity, yet independent of any particular narrative. Its solid elegance is countered by a whimsical sense of suspended dance-like movement, echoing both an architectural form and a corporeal gesture. Lendvai notes that the internal structure is intentially visible underneath to allow the piece to “flip-flop between abstraction and representation.” This representational detail may read as a Dadaist wink but not exclusively. Lendvai adamantly says that he is searching for the meaning of art and concludes that he sees art as the experience that a visitor takes away after leaving a gallery. 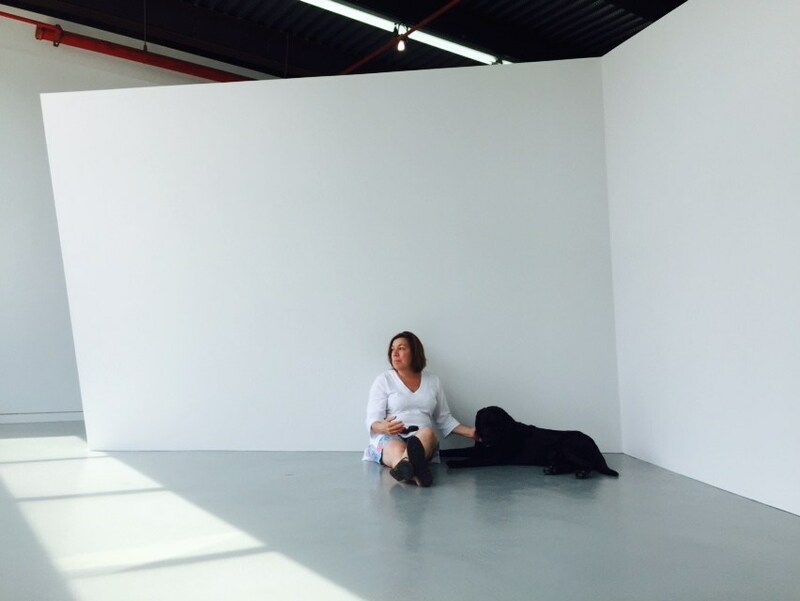 As she reflects on her successful experience with Lendvai’s site-specific project, Hackl Fagan is confident that she will offer other artists a similar opportunity in the future. As those who experienced Thomas Lendvai: 10 already know, visitors will benefit from her ambitious decision.